This is an outrageous story about outrageous people doing outrageous things to each other. It has much in common with tall tales of folklore. So, tell it in your best storyteller style or invite a good storyteller in the congregation to tell it. It’s message for children (and adults too) is that God gave us free will and lets us use it as we will. Even when we are using that free will in outrageous ways, God doesn’t give up on us. In the middle of a summer when the news, the economy and the weather are all bad, Psalm 105:1-6 calls us to celebrate God’s glory, i.e. all about God that is so cool, so absolutely awesome. There are several ways to revel in God’s glory. 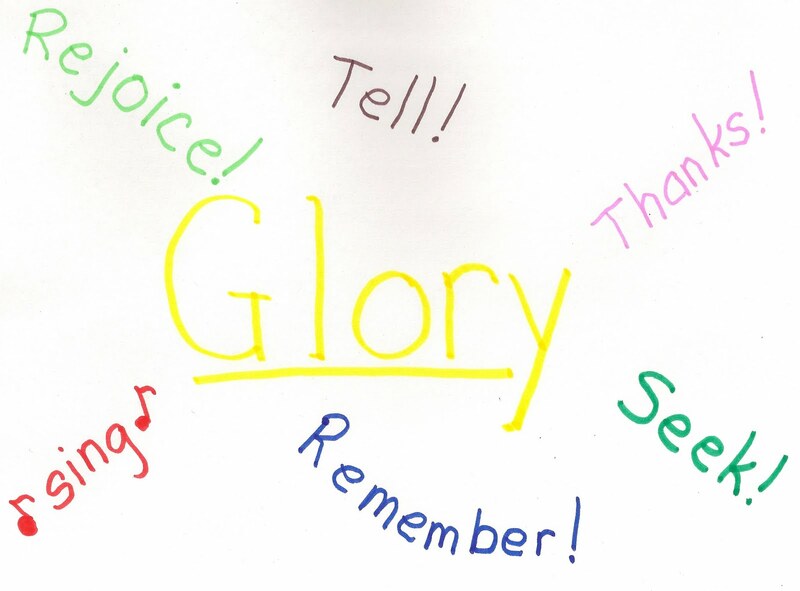 > Introduce the word GLORY that can be either a noun or a verb. Either during worship or before, print it in big letters on a large poster – maybe using gold glitter pen. Then add the other key glory words (thanks, sing, rejoice, seek, remember, tell) from these verses. Take time to comment on each one as you add it. Then read the verses in unison. > Make the poster with the children as a children’s time asking different children to write each of the words, taking time to spell the words, and to talk about how they keep us in touch with God’s glory. Display the poster for the rest of worship and encourage children to listen for the words in your songs and prayers today. > Give children a worship worksheet with the Glory words already printed on it and invite them to illustrate God’s glory as they have seen, heard, tasted, even smelled it this summer. > To encourage the discipline of praise, send worshipers home with verse 3b printed on a bulletin insert. Urge them to post it on the refrigerator door, bathroom mirror, or some other prominent spot and to read it aloud (as a household if possible) at least once each day this week. As they do they are to remember how they have sensed God’s glory and to tell each other about those times. Doing this often leads to thanking God for the glorious things they see, hear, touch, and feel that day. * Before reading this story, remind worshipers of all the stories of a genie coming out of a bottle offering three wishes. Challenge them or work together to create lists of things one might ask for, e.g. the talent and height to play in the NBA, to be extremely smart, to be really rich, or maybe a cure for a seriously ill family member or friend, etc. In the Harry Potter books Tom Riddle (Lord Voldemort) wanted more than anything to live forever. He used all his magical powers trying to get that. Then, read what Solomon asked for when God offered him one wish. * Solomon did not ask to be different than he was. He asked to be very good at who he was and what he had to do. He was the king. We don’t know whether he particularly wanted to be king, but he was the king. He asked God to help him be the best king he could. That may be a sign that he was already wise. In any case, it is worth exploring with children (and probably a number of adults) the possibility that they, like Solomon, are called to be their very best self in the place they are rather than to dream about being someone totally different in a different situation. * Before the congregation sings “God of Grace and God of Glory,” direct worshipers to the repeated chorus in their hymnals. Point out that “Grant us wisdom, grant us courage” sounds a lot like Solomon’s prayer. Then note the sentences that are sung twice at the end of each chorus. Read each sentence twice and briefly comment on what it means to sing that to God. Encourage even young readers to try to sing the chorus. Point out that if they miss the final sentence the first time, they can get it the second time. Then sing the whole song together. * Solomon’s story is the alternate reading for Jacob’s story. But, it might be fun to pair the stories to explore the truth that God worked through both conniving Jacob and wise King Solomon. If God loved and worked through two such different people, maybe there is hope for us. This section of Psalm 119 is not the easiest to share with children. There is neither clear focus nor a key verse. If you do use it, enjoy its alphabet poetry. Each line of this section of the psalm begins with the Hebrew letter PE. Show it to the congregation. If you have not shown the children the psalm in a Hebrew Bible before, do so today noting that this is the language Solomon read. Then have eight readers (either one children’s class or readers of all ages – maybe one or two families) read one verse each. Today’s English Version offers easier vocabulary for child readers. don’t let me be overcome by evil. For children the heart of this passage is verses 38-39. Read Paul’s list of all the things he worried could get between him and God’s loving care. Then, make your own list of the things we worry about. Shel Silverstein provides a wonderful list of things that might be too much for God’s love. Whatif I don't grow taller? Point out that some questions have only one right answer, e.g. one plus one is always two. Parables don’t have just one right answer or meaning. When we pay attention and think about them they often have many different things to tell us. Show a single mustard seed (found in spice section of grocery stores) and a photo of a mustard tree. Be amazed that such a small hard lump can produce a big shrub. Ponder what that says about every small gift making a big difference in the world. Then inform worshipers that one little mustard seed doesn’t just produce one mustard bush. Mustard bushes are weeds. One quickly becomes several and several soon take over the whole field. That tells us something else about God’s Kingdom – it is unstoppable. It is going to fill the whole world. Stress that parables are for thinkers and suggest that they will always be learning new things from the parables. > Laurel Dykstra claims the key to these parables is not the objects, but what people do with them. They don’t just hold on to them. The mustard seed gets planted. The yeast is worth nothing until the baker kneads it into the dough. “Everything I have” is sold to buy the treasure in the field and the pearl of great price. The contents of the net are carefully evaluated and used. So one call to preachers is to challenge worshipers to do something or take some risks or decisive action. If children are to catch this point, you will need to walk through what the person in one of these parable did in some detail. Then tell them directly that Jesus was telling us that what we do for God makes a difference. It may seem small and ordinary, but it makes more difference that we will ever know. It will help to name specific small things children can do - being kind even when you don’t feel like it, befriending those without friends, etc. 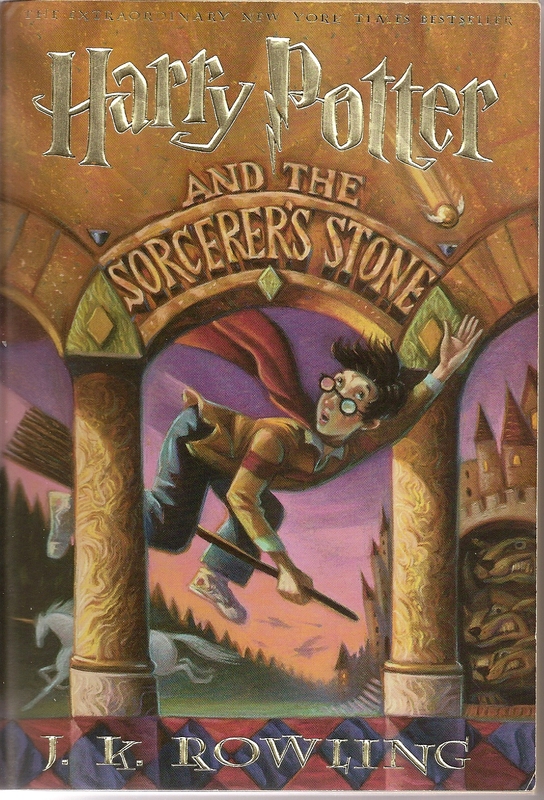 > The Pearl of Great Price and Treasure Hidden in the Field have a Harry Potter connection. The invitation to become a student at Hogwarts and the knowledge that he was a wizard were so valuable to Harry, that he left behind everything he knew. True, he wasn’t leaving anything all the great given where he lived and who he lived with, but still it is not easy to leave what you know. And, he had to walk straight into the brick column at the railroad station to catch the train to Hogwarts. These parables challenge us to be as ready to step into something new for God as Harry was to step into that column and go to Hogwarts. > In democracy we often say that the majority rules, but that is only half true. The other truth is that one person or a very small group of people can change everything. Rosa Parks sitting down on the Montgomery bus is an historic adult example. The fable about the boy who said “the Emperor has no clothes” while the adults watched silently is a fictional example children enjoy. For what it's worth, the psalm used today is the acrostic of the Hebrew letter "peh" not "kaf". The picture is right above but the naming of the letter is incorrect. Getting the Hebrew correct is worth a lot! Unfortunately, I have never studied Hebrew and have been making the matches the best I can. This morning I have learned that my usual method - googling Hebrew Alphabet - produces many alphabets that do not agree. I had not noticed that before. My new method will be to match the transliterations in my New Jerusalem Bible with those in a Hebrew Bible I own but cannot read. Hence I corrected today's mistake to PE rather than you PEF. If you see flaws in this method I'd love to hear about them. And, thank you for the heads up. Learning something everyday!